I learnt with rude shock about the death of Pa. J.O. S Ayomike. 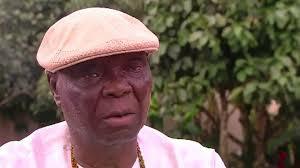 Our hearts are with the Ayomike family and the entire Itsekiri nation at this difficult period. While we grieve over the death of our loving father, we take solace in the fact that he lived a worthy life as a father, an accomplished historian and was an inspiration to many of us who read from his literal works. I offer my profound condolence and the commiseration of my family on this sad incident. We pray God grant the Ayomike family and the entire Itsekiri nation and indeed the Niger Delta people the courage to bear the loss. We also pray for peaceful rest for his soul in the Lord's bosom. Amen.